Our people are our greatest asset. We are always looking for people to join our team – whether that’s through paid employment or through our volunteer scheme. There are currently no vacancies. Please check back in future or follow us on Facebook or Twitter for updates. The Core at Corby Cube is a user of the disability confident scheme, and we guarantee to interview all disabled applicants who meet the minimum criteria for any of our vacancies. Join our team as a volunteer in a variety of roles: front of house, within our marketing team and as part of our Get Involved programme. 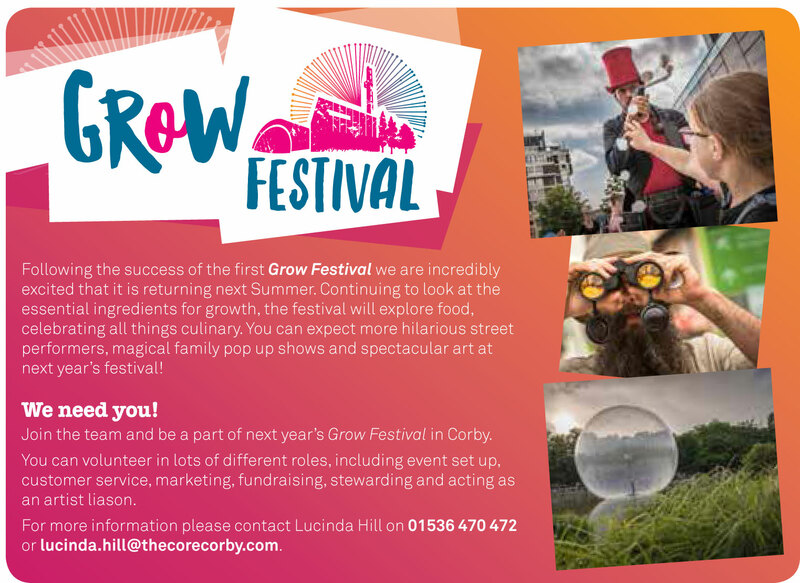 Work as an usher for our shows or cinema screenings, help the marketing team promote The Core’s activities in your community or at events around the county, or support young people as they get involved with workshop activity. Over the last 5 years 186 volunteers have given their time through a variety of roles, including working with the Front of House and Meet and Greet teams, assisting with the Creative Projects taking place such as weekly workshops, and helping the Marketing team with publicity.